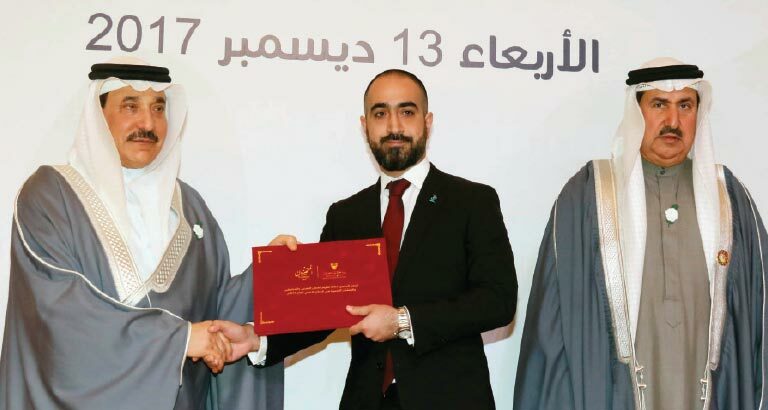 Zain Bahrain, a leading telecommunications provider in the Kingdom, was recognised for its outstanding efforts in developing talent at the annual Ministry of Labour and Social Development Awards. The Human Resources Development and Training Award was presented by the Minister of Labour and Social Development, HE Jameel bin Mohammed Ali Hamaidan, to Zain Bahrain HR director, Dana Bukhammas, at the event, held under the patronage of HM King Hamad bin Isa Al Khalifa. The company’s corporate events manager, Ghazi Faisal Radhi, was also honoured for his hard work and dedication, receiving the Diligent Employee Award. He has been with the company for more than 10 years.